JPJ: Why are They Even …? The wait is over people, behold! It’s the all new Yamaha NVX 155, the one that many of you has been ranting about whenever Yamaha announces new updates on existing models or when they release the slightly out of interest bikes in the build up to this one. Well, that’s quite a lengthy introduction but we’re passed that one now; so here we are he first real glimpse of it in flesh since 2016. We are as much as excited as you are (some of you) to see this bike hitting our shore and people; what a great motorcycle it is. So here are some known facts about the NVX 155, it’s driven by the same exact motor of the Yamaha Nmax. Well that’s about sums it all up really, it derived from the same DNA of the Nmax but boy how it looks cooler than the oldie looking of Nmax (Sorry Yamaha). But what’s interesting is that it comes with a pretty amazing tech gizmos for a sub 200cc motorcycle let alone a scooter. 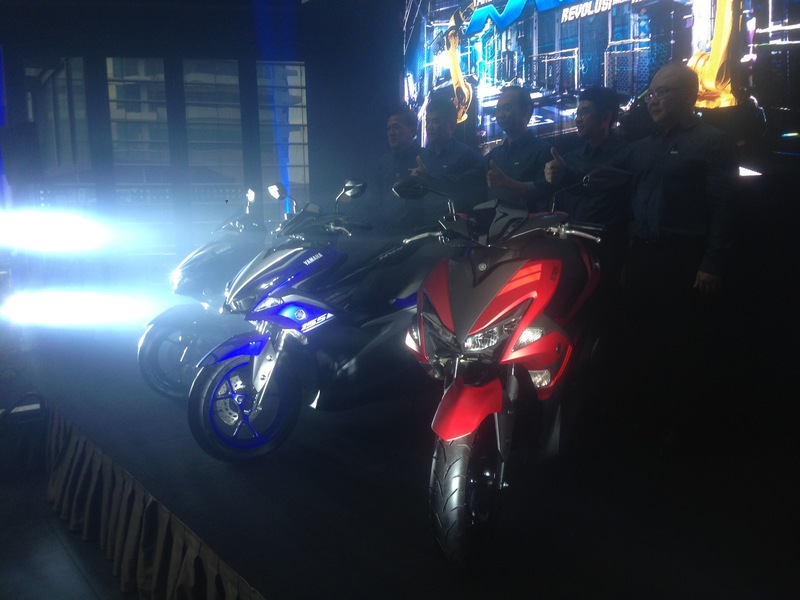 The bike will be equipped with a keyless start system and also a very cool LCD screen. It’s a 4.5 liters tanked bike and that can bring you up to 200km of distance roughly which suffice to be used for short to medium distance commuting. The bike (RM10,500 inc GST) looks good and there will be some serious decision to be made for those who are looking to own one. You’ll even have to decide whether you want to own it’s compatriot; the Yamaha Nmax which priced around RM8,500 and this one will be a bit of a step up. But whichever it is, we’re sure the Yamaha NVX 155 will be an eye catcher to most. We’ll be taking this new lovely thing for a ride once we got the chance a prep a film for your viewing pleasure. More information will be coming your way soon and who knows, you might even be taking home some cool prizes along the way.